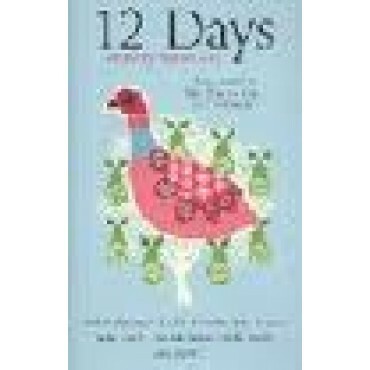 'On the first day of Christmas my true love sent to me...' From a partridge in a pear tree to twelve drummers drumming, here is a collection sure to satisfy even the Scroogiest of readers. Taking the classic Christmas song as inspiration, these twelve stories offer a sometimes mischievous, sometimes moving - look at the festive season. The twelve contributors are, in order of song: A Partridge in a Pear Tree - STELLA DUFFY; Two Turtle Doves - MIKE GAYLE; Three French Hens - ANNABEL GILES; Four Calling Birds - VAL McDERMID; Five Gold Rings - SHELLEY SILAS; Six Geese a Laying - SOPHIE KINSELLA; Seven Swans a Swimming - HELEN CROSS; Eight Maids a Milking - BEN RICHARDS; Nine Ladies Dancing - LAUREN HENDERSON; Ten Lords a Leaping - JAKE ARNOTT; Eleven Pipers Piping - MATT WHYMAN; Twelve Drummers Drumming - PATRICK NEATE.